I hope that will change in the coming months. I am now eleven days into my very first sabbatical, and while my favourite new pastime has been walking up and down my department hallways and making faces at my colleagues as they teach, I do mean for this to be a productive year. And given that being prolific on this blog tends to reflect being productive in other areas, I mean to be posting a lot more here. I haven’t done a “What I’m Reading” post in a while … which, again, isn’t for a lack of fragmentary paragraphs in my work-in-progress folder. I read a lot this summer, though much of it was re-reading, as I was doing a directed reading course with one of our doctoral students. And there were some unfortunate reading choices (most notably, the Guillermo del Toro collaboration with Chuck Hogan on The Strain), but I also read some pretty extraordinary books. I’ll give you the highlights here. 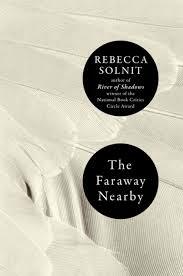 This was the summer when I discovered the writing of Rebecca Solnit and fell deeply in love with her gorgeous prose and genre-defying vaguely-autobiographical essays. I had read her without being aware of her for some time, as she is prolific and frequently turned up on online journals and magazines. But it was her now-famous (or notorious, depending on your perspective) essay “Men Explain Things to Me” that stuck the landing for me and made me sit up and take notice whenever I saw her name on a byline. 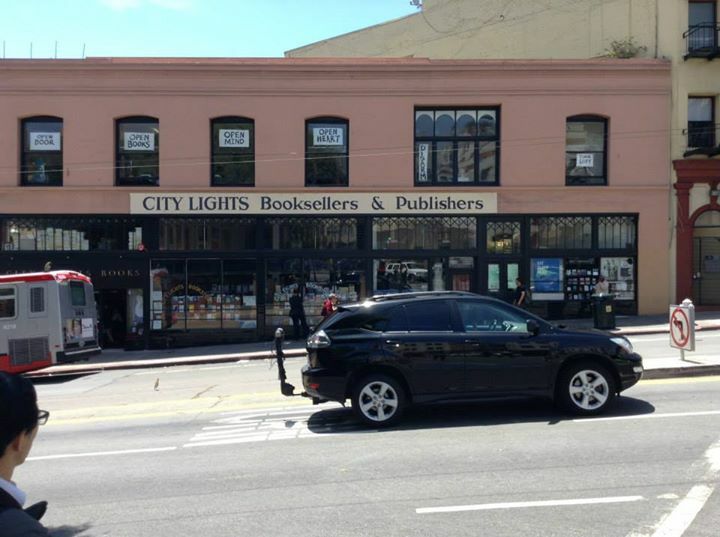 I was in San Francisco for a few days in June and made the requisite pilgrimage to City Lights bookstore. And because I cannot enter a bookstore without giving them money, but also not wanting to be a cliché and buy something by the Beats, I picked up The Faraway Nearby. Next door to City Lights is the bar Vesuvio, made famous by a list of clientele in the 50s and 60s that reads like a who’s-who of San Francisco arts and letters: Jack Kerouac, Alan Ginsberg, Lawrence Ferlinghetti, Neal Cassady, among others … and the pictures crowding the walls show everyone from Dylan Thomas to Bob Dylan dropping in for a drink or three (or, presumably in Dylan Thomas’ case, a dozen). Because I’d been tramping all over the city, I had a pint there and started reading Solnit—which turned out to be serendipitous, as she lives in San Francisco. 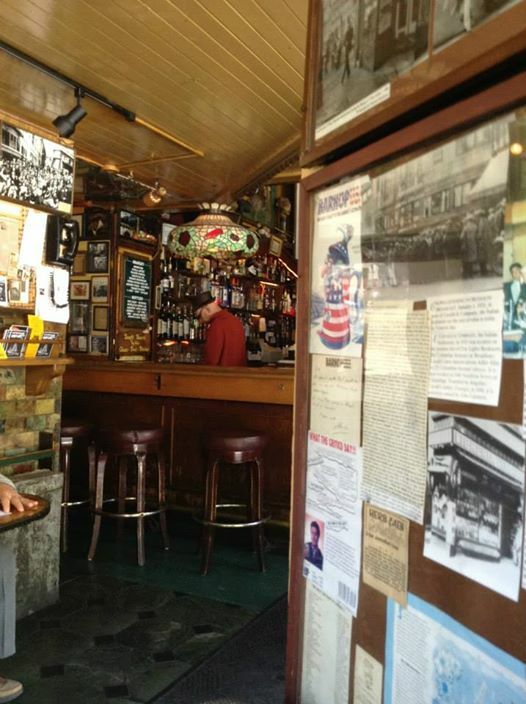 (Lest I felt like too much of a cliché, reading in a famous literary bar, I was out-cliched by a magnitude by a fellow in hipster glasses and big mutton-chop sideburns sitting in an alcove reading On the Road). The view from my seat in Vesuvio. Suffice to say, The Faraway Nearby is one of the most gorgeous collections of personal essays I’ve ever read, moving effortlessly between Solnit’s fraught relationship with her mother and her mother’s descent into dementia, through a dizzying series of meditations on winter, Iceland, adventuring, rafting, and the proper methods of preserving several bushels of apricots she finds herself with. The essays are deeply erudite without being esoteric, personal without being mawkish, and written in prose that I can only envy with the white-hot intensity of a thousand stars. 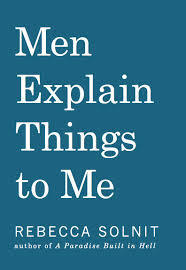 I then read Men Explain Things to Me, a slim volume of essays on women and violence prefaced by the original essay that inadvertently gave rise to the concept of “mansplaining.” Solnit has expressed ambivalence about having become associated with the term, not because it is not a real thing (and as someone who has occasionally been guilty of it, there was a lot of internal cringing when I first read the essay), but because it is reductive. The essays grouped in this short but incredibly powerful book remind us—forecfully—of the original essay’s main thesis, which is that the phenomenon of men condescendingly explaining things to women (even, or especially, when they’re ignorant on the topic) is reflective of the gendered structures of power in the world today and systemic violence that proceeds from it. I won’t say much about this book, as I’m slowly working on a blog post talking about it in greater detail. I will say this: it is a bracing and very concise read that manages to make the endless debates in and around the Continental Congresses, and all of the court rulings on the Second Amendment since, not merely not tedious but gripping. 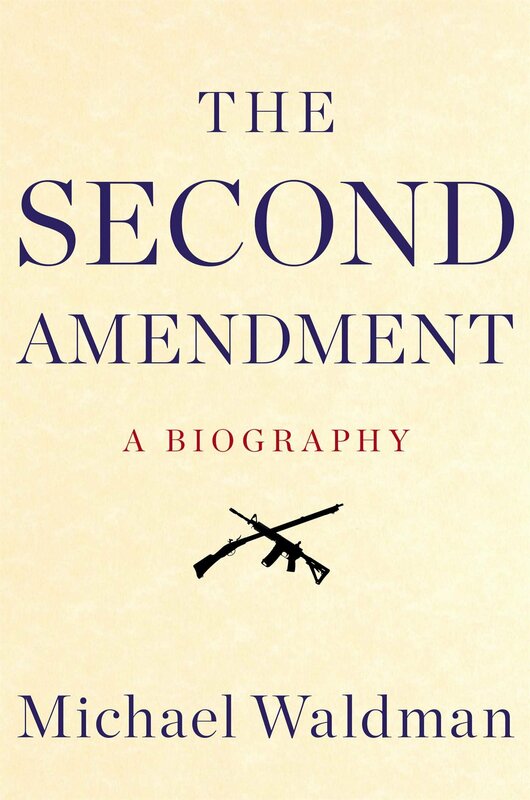 It is a persuasive and balanced discussion of the Second Amendment’s origins, interpretations, and evolution, but in some ways, the focus of the book isn’t really the right to bear arms at all: rather, it’s a polemic against constitutional originalism, the judicial philosophy holding that the Constitution must be interpreted in terms of what were the Framers’ original intentions. As it turns out, the Second Amendment (for a variety of reasons) is the perfect departure point for this argument. As I said, I’ll have more to say about this book at a later time. As I said in my post of July 5th, I’ve been rationing the remaining Discworld novels against the unthinkable day when Sir Terry will not be around to write any more. Equal Rites has been sitting on my shelf for a long time, both because of my rationing but also because I don’t care as much for the earlier novels. 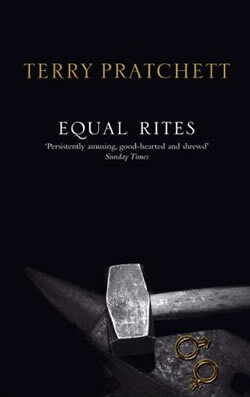 Equal Rites was the third, after The Colour of Magic and The Light Fantastic; what’s slightly off-putting about the earliest novels (when you have, like me, initially entered Discworld with the more recent novels) is that everything still feels a little formless—as if the landmarks and characters still await greater definition, like rudely shaped clay. Granny Weatherwax makes her first appearance here, and while she is very identifiably Granny, she is also … not. Or not quite. Nevertheless, the novel is hilariously funny: a baby girl is accidentally chosen by a dying wizard to take his place, precipitating a protracted argument between Granny and the wizards of Unseen University about what defines magic, about what is specific to men and women—or wizards and witches—respectively, and how those definitions are arbitrary. What I loved about this book, coming at it as I am from the far end of Discworld journeying, is how you can see Sir Terry’s shift from the overt parody of his first two novels (in which he’s just basically taking the piss of fantasy as a genre) to a more thoughtful use of fantasy and its conventions to offer a critique of “real world” social and societal mores—which in the end is what tends to define the Discworld novels overall. Speaking of parodic fantasy that isn’t really parody at all: if you haven’t yet read the first two installments of Grossman’s trilogy about a school of magic and a Narnia-like alternative world, you really must do so. Like, now. 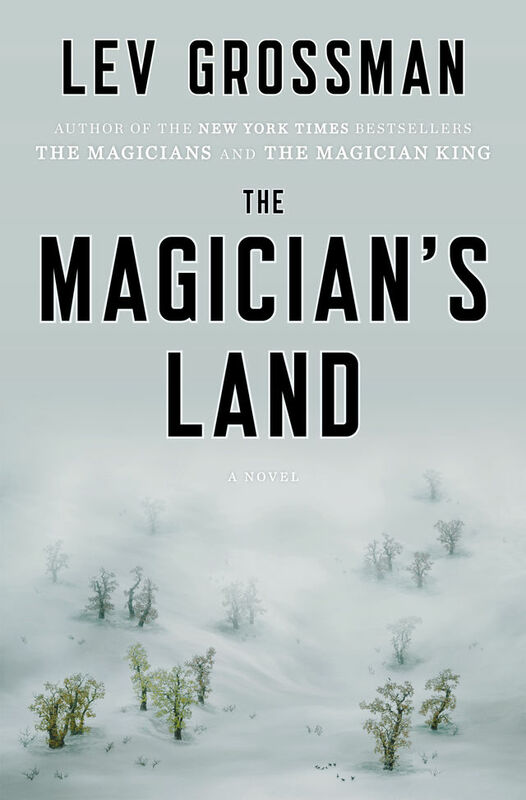 The Magician’s Land completes the story begun in The Magicians and carried on in The Magician King, the story of narcissistic and self-absorbed Quentin Coldwater, who is inducted into a secret school of magic called Brakebills at the age of seventeen. As critics have pointed out, it’s like Hogwarts for grownups. Again, there will be a more in-depth blog post in the future on this book, and the trilogy as a whole. But for now, let me just say: this was about as perfect a conclusion to a fantasy series as has been written. No, I didn’t read this because it shares a title with an Echo and the Bunnymen song. My broad research project of the moment is all about humanism and fantasy; one of the problems I have right now is one of representation. That is to say: my current list of authors on whom to focus is almost entirely male, and so I have been on the hunt for fantasy written by women that fits the criteria of the novels I want to look at. N.K. Jemisin was a repeated recommendation, and so I started on her Dreamblood trilogy, set in an alternative world modeled vaguely on Ancient Egypt. Reading fantasy that moves outside the medieval European model is wonderful in and of itself, but Jemisin is a very talented writer who renders her world with wonderful tactility and establishes its mythology with an enviable economy of storytelling. The overarching conceit is that in the city-state of Gujaareh, an elite priesthood exist to harvest “dreamblood,” the magic that exists in sleeping minds. Dreamblood is used for healing and other positive ends, but its reaping by the “Gatherers” kills … and so the Gatherers move at night across the rooftops to harvest it from those who have been judged corrupt. For several reasons, The Killing Moon is not a novel I will be able to use to argue my broader thesis, but the second book of the trilogy (The Shadowed Sun) sits in the pile of my eagerly anticipated reading. About three weeks ago I wrote a post about the crisis in Ferguson, Missouri, the rise of police militarization, and The Wire. Largely due to the fact that a friend of mine posted it to Reddit, it received the most hits this blog has ever received, by a magnitude (my average post gets between sixty and seventy hits when it goes up; the most I’d ever had was just shy of three hundred, back when I posted on the whole David Gilmore and guy-guy Lit fiasco; the post on The Wire and Ferguson received twelve hundred, and a comment from David Simon himself. That’s not actually relevant, I just like reminding people of it). While reading the various news items and opinion pieces that ultimately informed the post, I kept hearing about Radley Balko’s book, conveniently just out in trade paperback. So I ordered it. The book is … terrifying. It exposes in excruciating detail the violence done to the Fourth Amendment—for the rise of SWAT teams in towns with populations as low as fifteen thousand or less has not, ultimately, been about responding to well-armed criminals, but the use of the militarized groups to kick in doors for drug raids. 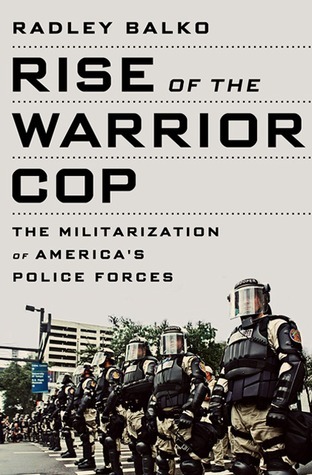 And as the book chronicles, the sheer number of botched raids in which ridiculously armed and armored cops burst into the wrong house, terrorizing the inhabitants and destroying property (and, distressingly, shooting an awful lot of dogs in the process) is bewildering—especially considering how rarely the wronged citizens receive anything resembling remuneration. Just today there was an article in The Chronicle of Higher Education about the spread of military equipment and munitions to campus police at various universities in the U.S. Campus. Police. Armed with grenade launchers (seriously) and equipped with armoured vehicles. Even before reading that, I’d concluded that Balko’s book is required reading for the contemporary moment. 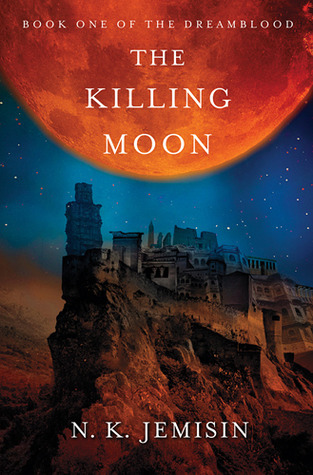 So as not to end on such a down note, here is “The Killing Moon” by Echo and the Bunnymen—which on reflection, is also kind of a downer, but would weirdly work as a not bad theme song for Jemisin’s novel.